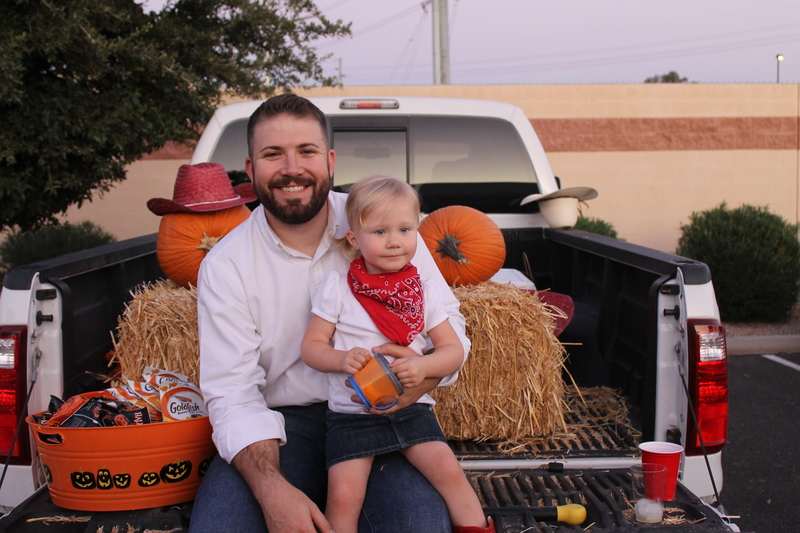 We went to our first Trunk or Treat at Bay’s school on Friday night…and we have 4 bales of hay to prove it. 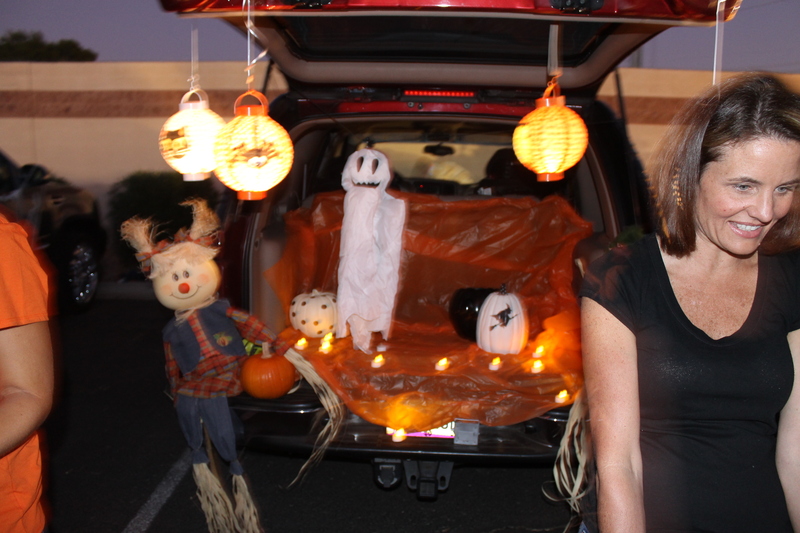 Trunk or Treat is a big event where families volunteer to bring their cars and decorate the trunk. 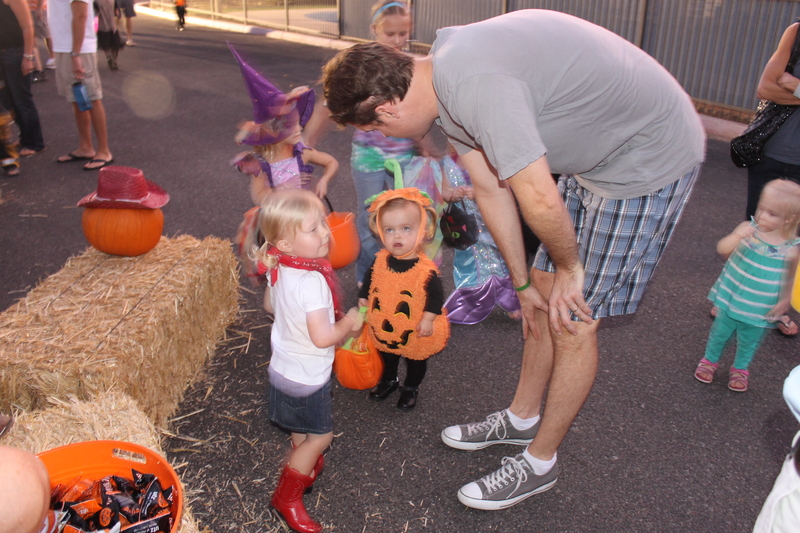 Then all the munchkins dress up and trick or treat – or trunk or treat – at each car. It’s kind of like a tale gate for trick or treating. And it was awesome. I signed up to be on the planning committee and when I explained the process to Peter, he immediately said “We’re going to do a trunk, right?!”. A little shocked by his enthusiasm I said of course we were. 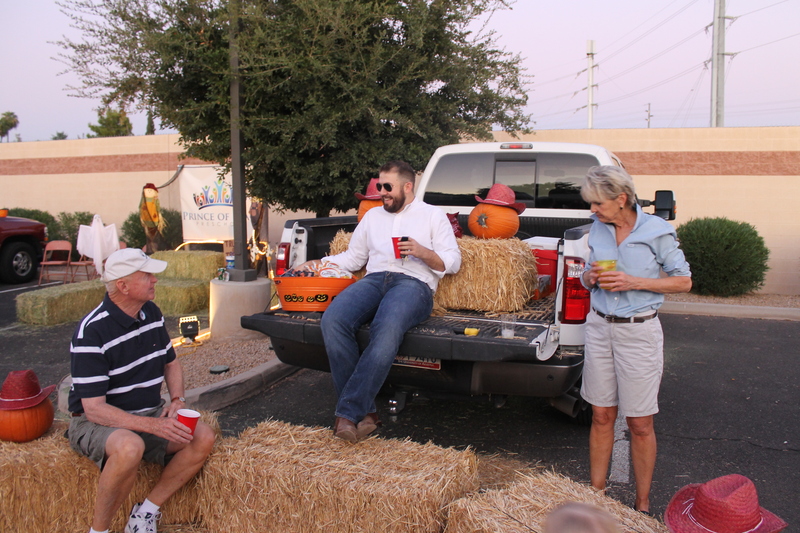 We settled on a western theme and set out to find bales of hay to put in the back of the truck. 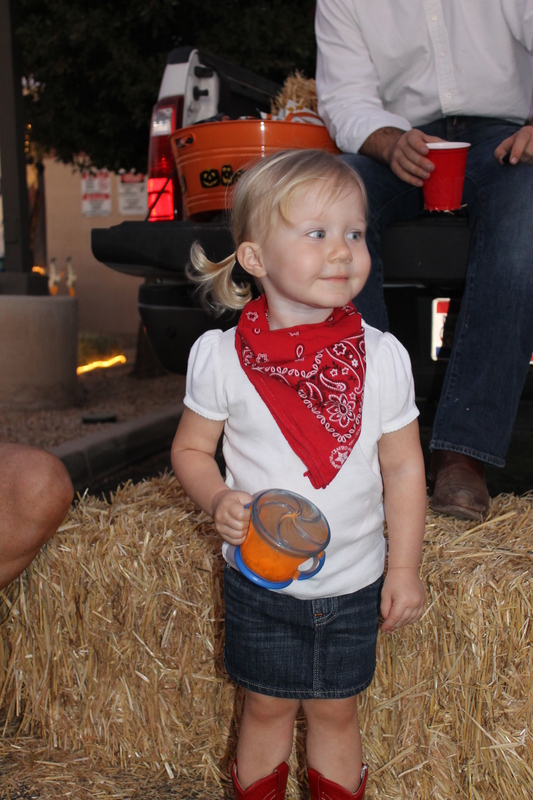 I got cowboy hats and bandannas to decorate several pumpkins and LOADS of pretzels, Goldfish and candy to give out. I had two crock pots of chili cooking all day (our house may never get the smell out!) and my mom brought a third to contribute to the total of 18 crock pots and 100 hot dogs! And not one drop of chili or one singe hot dog was left at the end of the night. 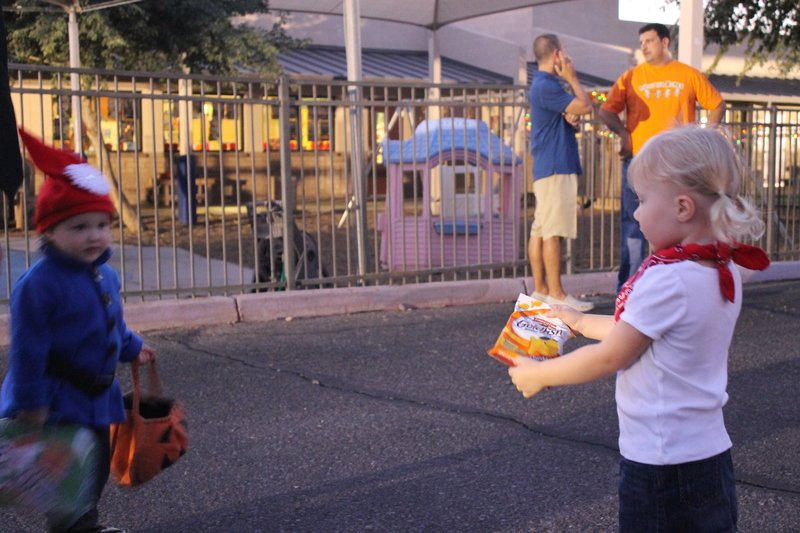 We handed out candy and crackers to tons of Bay’s friends and watched her play and interact with all of them. 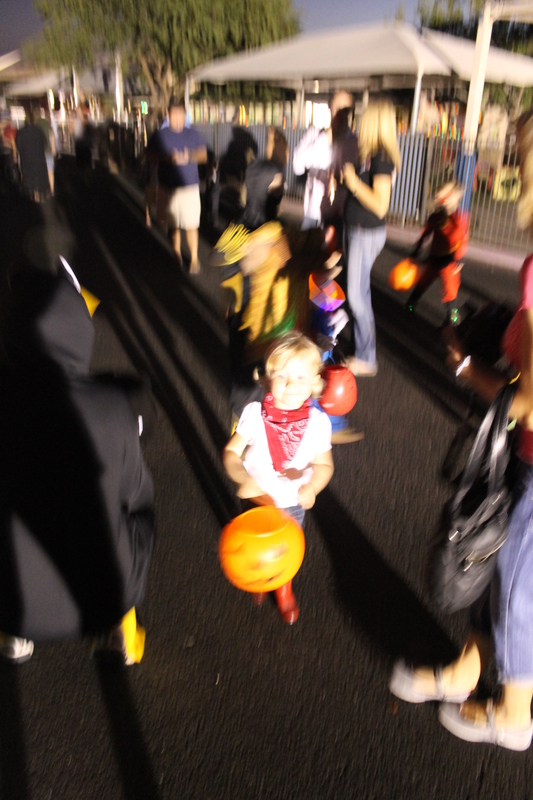 It was so cute to see all the kids and all the parents put so much work into their trunks. One of my personal favorites was our friends Stephanie and Jeff. Their trunk was filled with luggage and departure and arrival time signs. 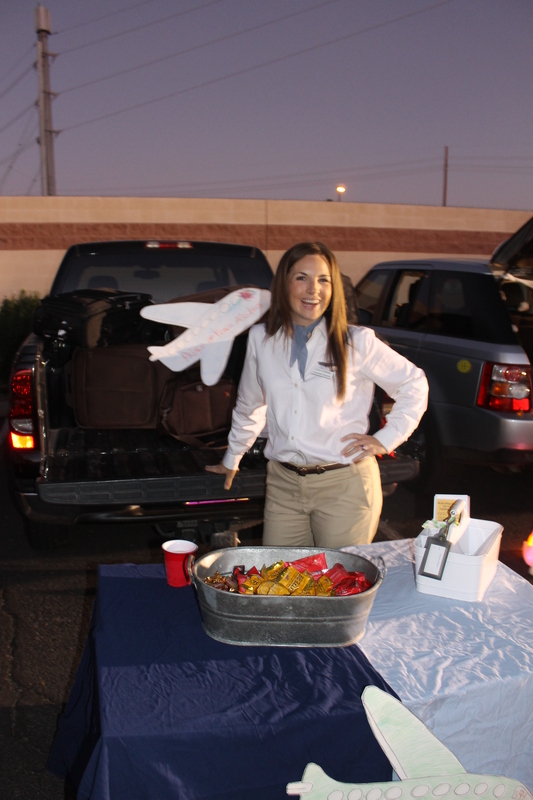 Stephanie was dressed as a flight attendant and Jeff was a pilot. 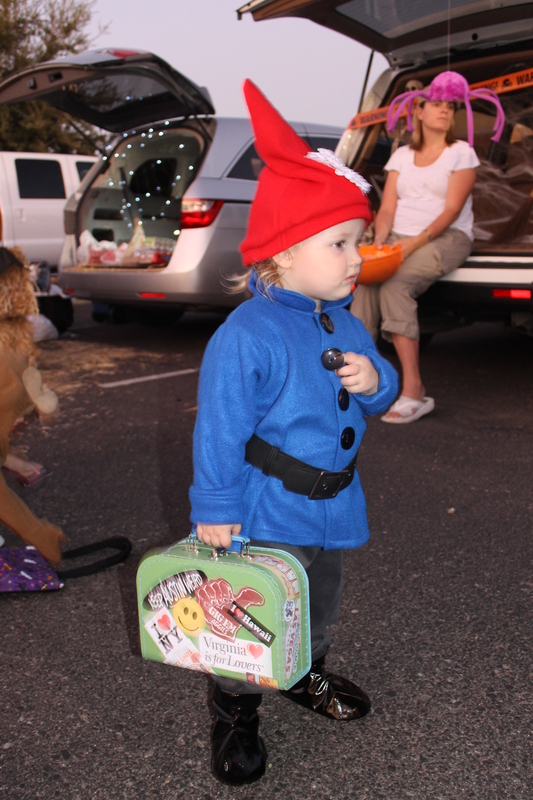 And Morgan their daughter was a gnome…get it? She was the Travelocity Gnome! So clever and adorably executed! I wish I had found your blog a week ago. 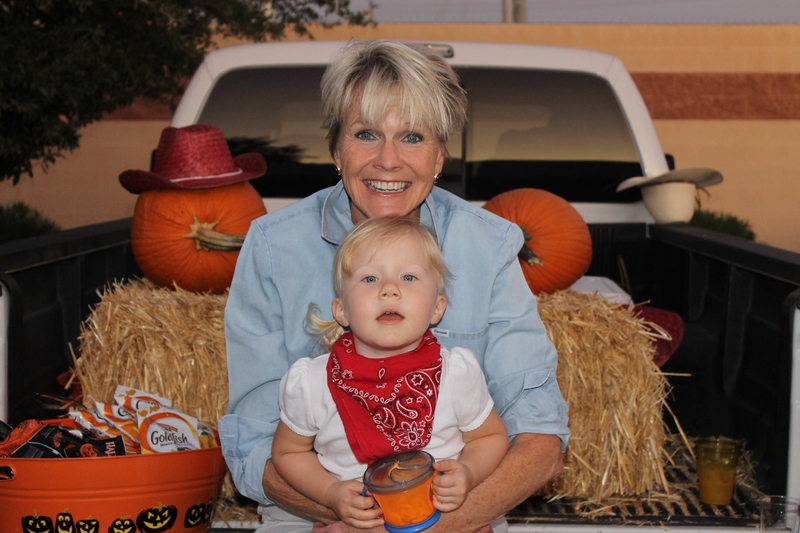 I would have rallied a trunk or treat party. This is fantastic!